Chiangmai Carnival Tour - Chiangmai. 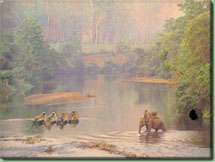 Tours and treks with experienced guides - All the sights in and around Chiangmai. Chiangmai Carnival Tour Ltd. Part. 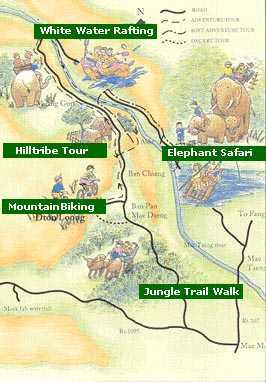 THE HILL TRIBE EXPERIENCE ECO - TOURS. 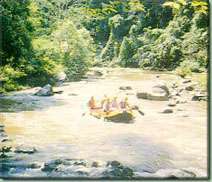 "A natural and exciting experience in the beautifull scenery of North Thailand's mountains and rivers. Meet the hilltribes and discover a great deal about them." Transfer to the resort for a welcome drink. Enjoy a 10 kms gentle mountain bike ride to a traditional Thai village and continue with a 1.30 hour elephant safari through beautiful mountain scenery. After your traditional picnic at the elephant camp, embark on an inflatable raft for a 1.30 hour voyage down the white water of the Mae Taeng river. 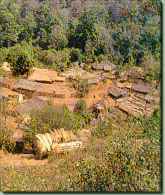 Then walk up a steep mountain trail (1.30 hour) through dense jungle to an Akha hilltribe village. Have tea with an Akha family and ride your bike back to the resort.